Microsoft has quietly started promoting the Office 365 in Windows 10’s Mail app. Some users on Reddit claims that they are seeing a small ad in the lower left corner that promotes Microsoft’s Office 365. By the looks of things, Microsoft is only showing the ad in the latest version of Mail app for Windows 10. This is something that nobody expected, however, only a small number of users are seeing “Get Office 365” banner when the left pane isn’t collapsed. The ad basically promotes Office 365 and does not annoy the users, and there’s no way you can trigger the ad to show up on your device. Some users could think that the free Windows 10 should remain a free app without any ads, while others hate ads in the first-party applications. It is worth noting that Google’s Gmail app for Android also shows advertisements, which are more annoying than the ads Microsoft is testing. Microsoft a while ago updated the Windows 10’s built-in-mail app with links to Outlook for iOS and Android. If the link is clicked, the Mail asks users to enter their phone number and receive the download link in a message. So more or less Microsoft is promoting its own services in Windows 10. While these advertisements look decent, it could be a controversial change for some users. 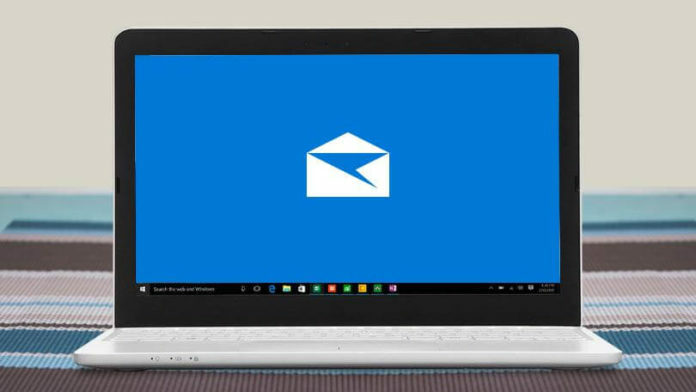 Microsoft recently started testing a new Windows 10 Mail app feature with Insiders that would force users to open links in Edge browser. For example, if a link in the email is clicked, the operating system will open Microsoft Edge browser, regardless of the Windows 10’s settings. This is, however, an experimental change that the company is only testing with Insiders. “For Windows Insiders in the Skip Ahead ring, we will begin testing a change where links clicked on within the Windows Mail app will open in Microsoft Edge, which provides the best, most secure and consistent experience on Windows 10 and across your devices,” Microsoft said in a blog post. Microsoft is exploring these changes and given the public backlash, there’s a chance that Microsoft would roll back these changes before implementing it in the public version of Windows 10. Do you think that it perfectly makes sense for Microsoft to promote its own services in Windows 10 apps or do you believe a first-party app should remain a free app without ads? Let us know your thoughts in the comments below.